The Long Way Round – Local Knowledge of Tracks! 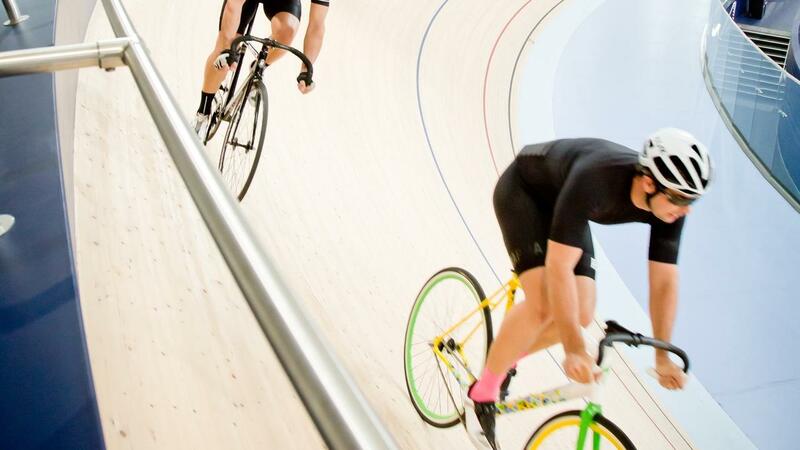 Biomechanics, physics and maths are all the numeric elements of track cycling suit my interests completely. Gears are fixed and wheels are the same diameter, give or take a few millimetres in tyre selection. 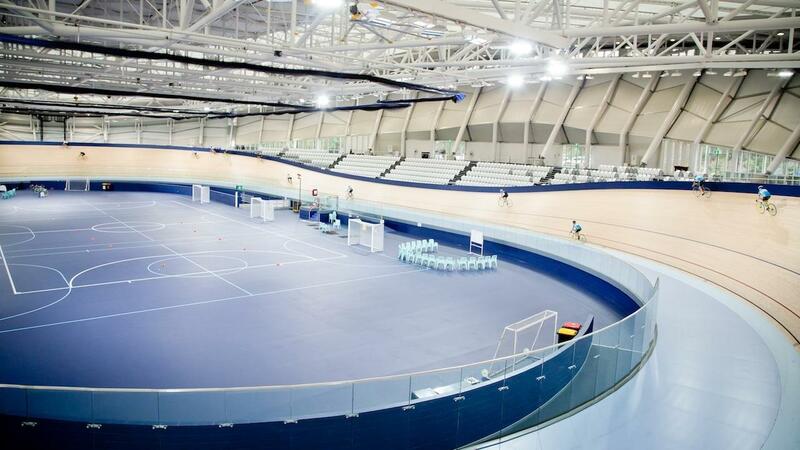 Wind doesn’t come in to play inside our lovely Anna Meares Velodrome. It does at Herne Hill in London I know. Does the wind blow at your track? I was riding with friends on our track recently. I was coaching the ability to spot an attack coming and what position a person can be on the track to have a run down the hill and gain some free speed. For predominantly road cyclists this is a time they naturally reach for the lever to click up through the gears. The acceleration isn’t felt as keenly as when the cadence picks up, especially playing on the track on smaller gears. Eating the right types of food to enhance cycling performance! 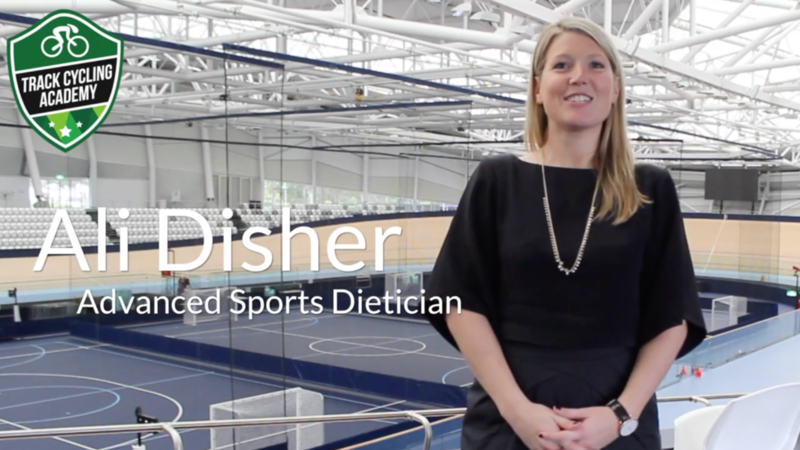 Ali Disher is an Advanced Sports Dietician and works with many of the World's Greatest Athletes, including a number of Olympic Cycling Medallists. In this short video blog, Ali talks about the right types of foods to load up your dinner plate with to enhance performance! The Track Cycling Academy are proud to have an exclusive partnership with Ali Disher and Apple to Zucchini Sports Nutrition based in Brisbane, Australia. 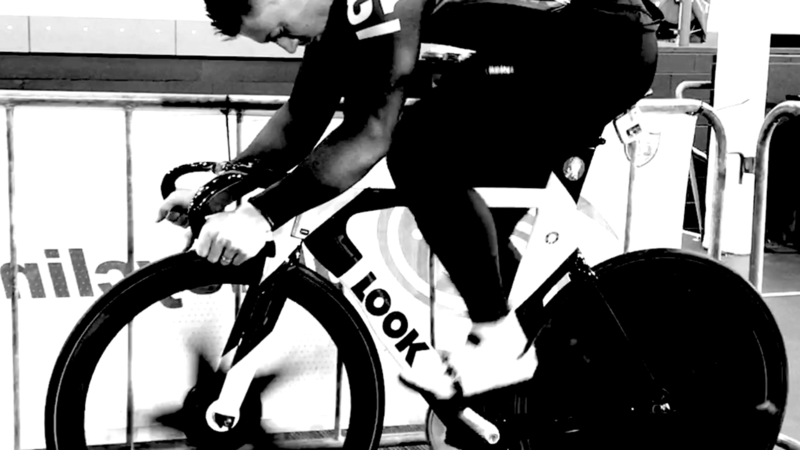 Which is more important of these two attributes in a kilo or a 500m Time Trial? For those new to our sport these are individual timed events. They are great fun and don’t hurt at all. Actually that isn’t true. If you are good enough to go quickly they are utterly brutal. When coming off the track after a race, your road bike is easily accessible and the gearing is usually lighter, allowing you to pedal at higher cadences - clearing lactate faster. In this blog, we want to highlight what cadences should be achieved on recovery road rides, and why it’s so important to pedal at high cadences to achieve better recovery. First, let’s talk about what recovery is, and for the sake of this blog, we’re talking about active recovery - that is, a session with low intensity and volume to allow your muscles to repair, getting blood moving and reducing residual fatigue within the muscles. Most of us have a road bike in addition to our track bikes and will head out on the road for different types of training rides to assist with our track cycling development. The road bike is also extremely handy when you’re incorporating a recovery ride into your training program. Road bikes allow us to pedal faster whilst travelling slower aiding in recovery by taking a heavy gearing load away from the legs. They also allow us to complete a progressive warm up before lining up to race a track or road style event without needing to change gears on your track bike several times - saving valuable time on race day. With the evolution of science and technology and as the ever-increasing number of training tools creep their way into our cycling training lives, many forget about some of the basics such as incorporating heart rate as a measure of fitness and fatigue. 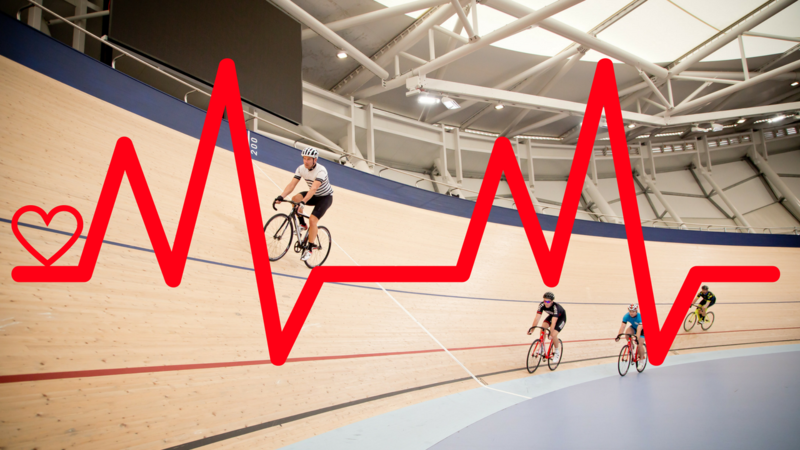 In this blog, we want to offer a simple reminder about the importance and benefits in monitoring your heart rate throughout your training and competition phases. Your target heart rate is a range of numbers that reflect how fast your heart should be beating when you train. In cycling, we often segment heart rate levels into zones and focus on training within these zones to improve and monitor various areas of your physiology. “A higher heart rate is a good thing that leads to greater fitness,” says Johns Hopkins cardiologist Michael Blaha, M.D., M.P.H. Most of us get nervous, excited, sometimes anxious before racing, after all, you only want to do your very best, and aim to beat previous best results. It goes without saying that preparation is key, and that preparation will comprise of a whole lot of training blocks which include technical and tactical refinement. In this blog, we want to introduce one more ride into your training plan, and it happens within the tapering period, sometime during the week or two in the lead up to your main event. The clarity ride is essentially a relaxing, flat road, non-effort producing ride which usually will include a stop at the half way point, or somewhere near the end of the ride to have a drink (aka: coffee or tea). The ride should be completed in small gears, with higher cadence (85-90rpm), and should be no longer than an hour in duration. What is the point of the ride you ask? Don’t get boxed in… Here’s how to stay outta trouble in a bunch race! If you’ve ever found yourself in a keirin, points race, scratch race, madison, elimination or any other bunch race event that involves more than 2 competitors, you may know what it feels like to be boxed in and unable to unleash your big final sprint that propels you to a top position. Not sure what we’re talking about, have a look at the diagram below…. 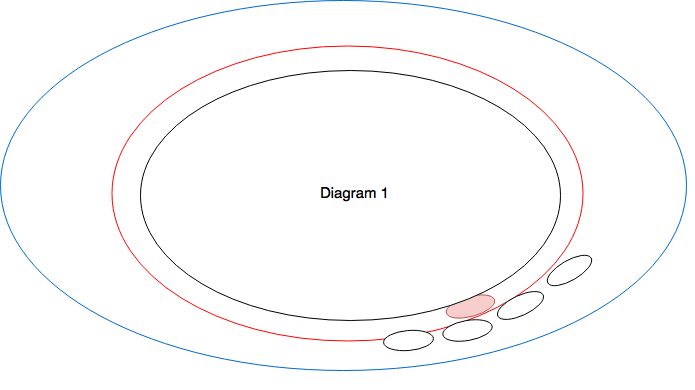 You will note in the diagram, the red bubble represents a rider that is 'boxed in'. 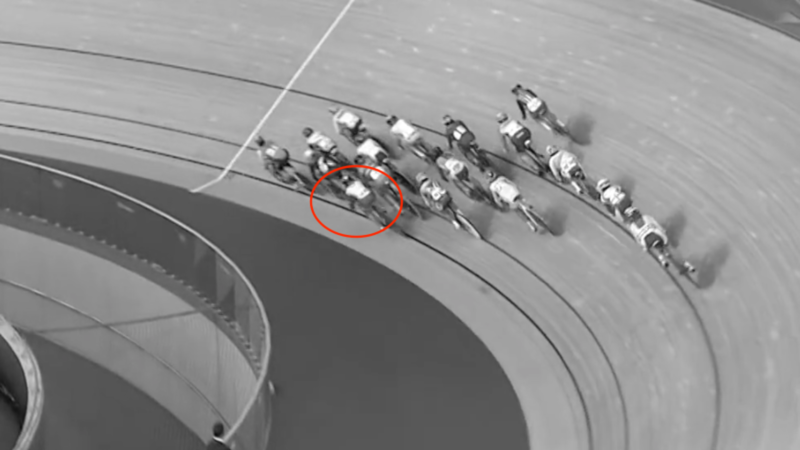 A boxed in rider usually will find two or more riders over his/her right shoulder are in close proximity, leaving no room to 'flow' forward when the bunch sprint kicks, or to make a move on his/her own. 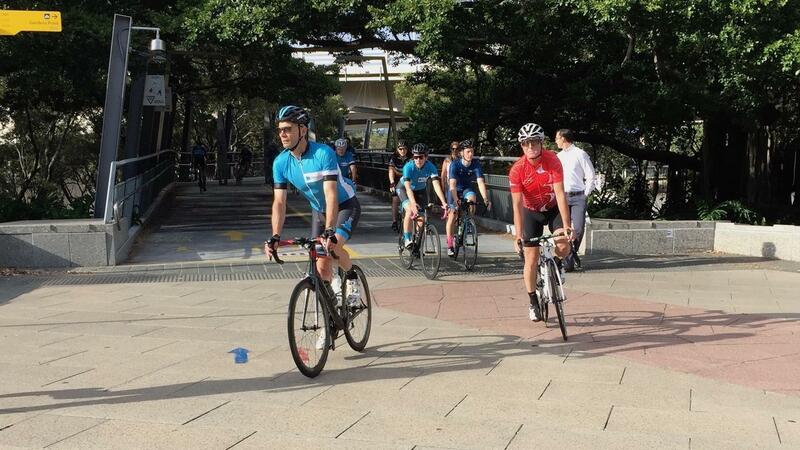 The only option if you find yourself in this position is to move to the back of the bunch. So essentially, the above diagram represents the place where you never want to find yourself, particularly at the pointy end of the race. Foundations of fast! Whole Body Track Sprinting - the Fitness for Speed. In last week's blog we were talking about sprinters needing to have a greater capacity than just raw power to be competitive in track sprinting. 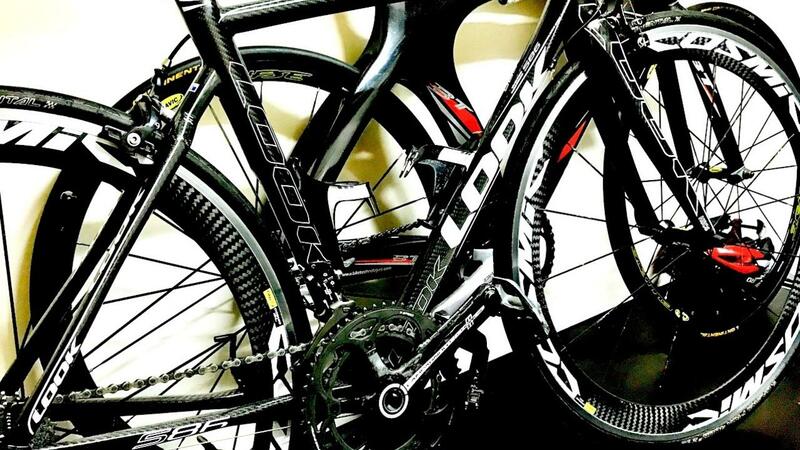 We know that a rider with a lot of raw power is always going to have an advantage in a sprint over one who does not, as simply they can make their bike reach a higher peak speed. But assuming two riders have the same power and same track craft then the difference may well be how they back-up their effort after the Flying 200m in to the rounds of Match Sprinting, or from one Match Sprint to the next.